Today I have an art journal prompt for you! I just chose some words that represented summer for me and wrote my haiku. The page, as you see, is very simple. I used watercolors and photos. Now, it’s your turn! 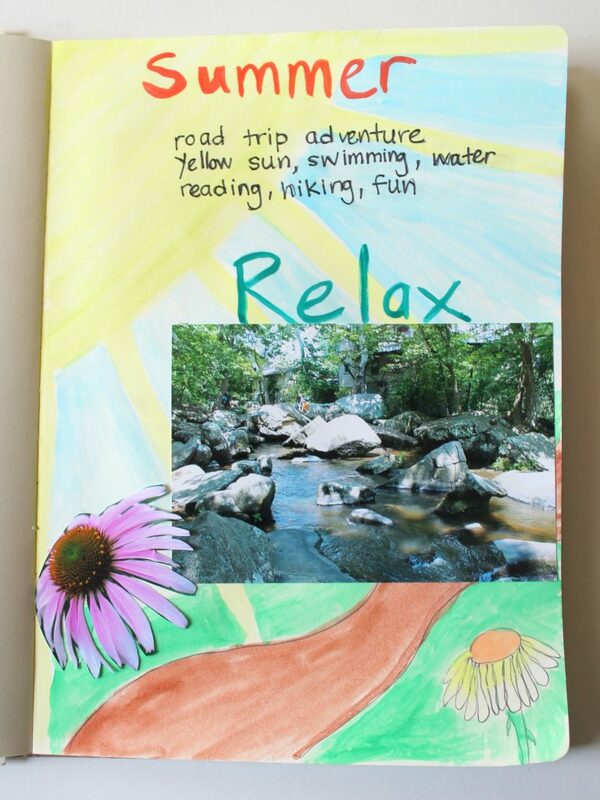 Create an art journal page with a haiku to summer. If you want to follow my example, choose a photo that also represents summer and then add some color with watercolors or whatever medium you like. Next week I’ll show you how this page inspired me to make some jewelry! Want to add an injection of inspiration to your summer? 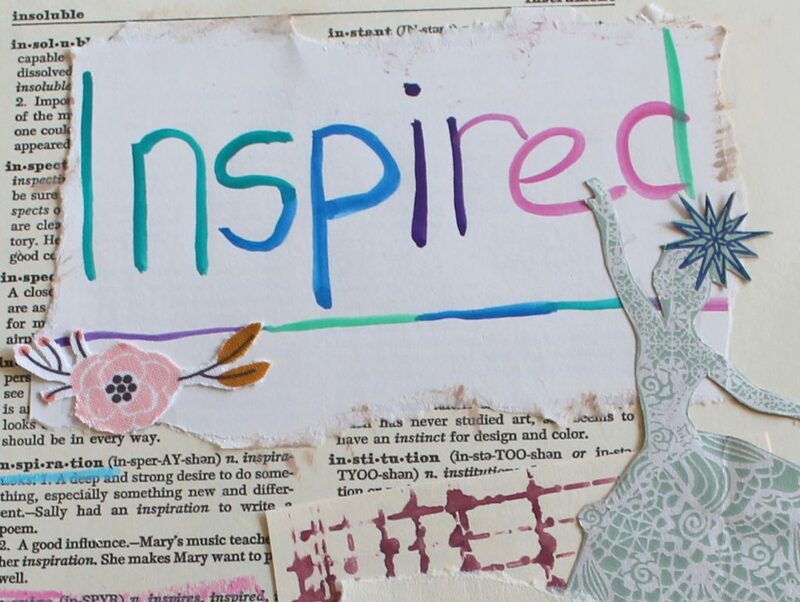 Check out Inspired eCourse. We’ll be art journaling and making jewelry for 4 weeks! This entry was posted in Art Journal and tagged art journal, creativity, haiku, summer by Kimberlie. Bookmark the permalink.